This phrase is a bit difficult to translate. Literally it says: "It must not get any crazier", where "gek" translates to "crazy" or "weird". The Dutch use it to express indignation or disbelief in response to hearing something that is just not right (in the opinion of the speaker) or beyond what can be reasonably (morally, ethically) expected. – "De prijs van de strippenkaart is weer verhoogd, het moet niet gekker worden!" – "Heb je gehoord dat het niet meer is toegestaan om in de horeca te roken? Het moet niet gekker worden!" – "Het moet niet gekker worden met de files in Nederland, dit kost kapitalen!" 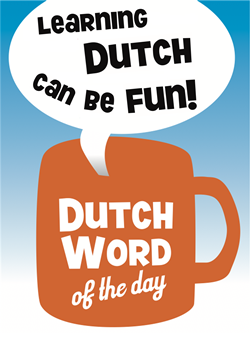 This entry was posted in Dutch phrase of the week, DWOTD 1.0, Vocabulary Basic by Dutch Gurus. Bookmark the permalink. This is a fantastic blog for people like me that are trying to learn dutch: thank you. Heel mooi, ik ben erg enthusiast!